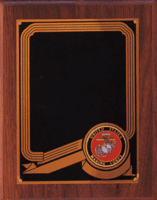 Scroll below for our complete selection of Insert Plaques. 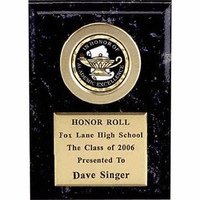 Each plaque in this section offers a choice of subject insert. 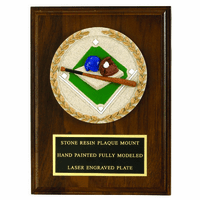 Inserts are discs that add a special touch to a plaque and are available in many sports, academic, business and general subjects. Also see: Award Plaques. 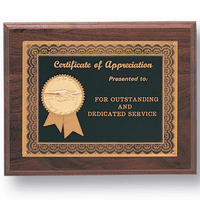 8"x10" Plaque with Subject InsertChoice of engraving plate colors. 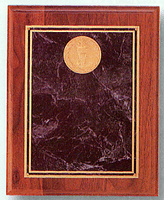 Medallion PlaqueAvailable in genuine walnut or walnut finish. 4" Cast Stone Subject Plaque - 8" x 10"Walnut finish 8" x 10" plaque with choice of subject. 4" Cast Stone Subject Plaque - 6" x 8"
The plaques in this section all accept inserts - 2" or 4" discs that depict various images and subjects. 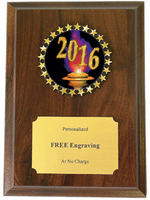 Inserts offer an alternative to traditional awards and trophy figures. Insert subjects include sports, school, business, religion, military, organizations and charities and many more. We also carry a large number of generic inserts - Rising Star, Most Improved, Excellence and many more - that can be used for any number of events. 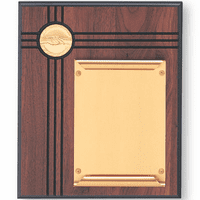 Many inserts are available in color or in gold, silver, bronze finishes to recognize different levels of achievement. 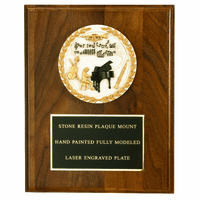 Start by choosing the your plaque finish and size. Then press the Select Options Tab and choose any desired options and enter engraving. 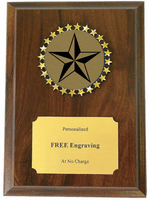 Each insert plaque includes engraving (the number of lines depends on the size of the plaque). 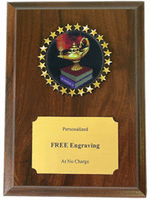 Most plaques ship in 4 to 6 business days and qualify for free ground shipping on orders over $100.